We at, Geltronix are indulged in designing and developing a wide range of Aviation Lights. Our experts are keen and careful in manufacturing these products to be defect-free and reliable. We manufacture and supply a wide range of Aviation Obstruction Light. We have experts who manufacture defect-free and reliable. These aviation lights are manufactured in accordance with international standards and compliances. We offer these products at a affordable price. The product under this category is Low Intensity Aviation Light. By means of well equipped designing infrastructure we are indulged in designing and manufacturing a wide range of Aviation Warning LED Lights. Our experts design these products in accordance with international standards and compliances. The product has huge acclamation due its efficiency and reliability. The product listed under this category is Aviation Warning LED Lights. With wide industrial experience and vast distribution network, we are involved in manufacturing and designing Aviation Navigation Light. Our lights are manufacturing by using finest quality of raw materials procured from reliable vendors. We offer these lights at an industry leading price to please our clients. The product under this category is Industrial Aviation Navigation Lights. 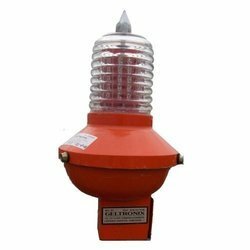 We at, Geltronix are the most reputed organization indulged in manufacturing and supplying a wide range of Aircraft Warning Light. We manufacture these lights following the research modules of the skilled professional and international standards. Our products are reputed widely for its reliability, cost-worthiness and durability. Our experts manufacture these products with utmost care to ensure its consistency. 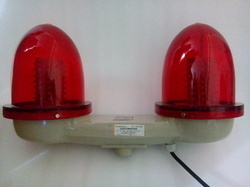 The product listed under this category is Aircraft Warning Light. Low intensity aviation led light, for tower, high-rise buildings, small chimney, etc. We at, Geltronix are engaged in manufacturing and exporting a sound range of Medium Intensity Aviation Lights. We use sophisticated technology and machinery to manage the production process to provide zero-defect products. The products we manufacture are in compliance with international quality standards. 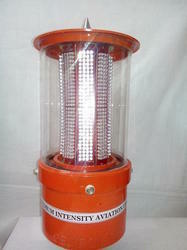 The product under this category are Medium Aviation Lights and Medium Intensity Obstruction Warning Light. Our organization is involved in manufacturing and exporting a wide range of Twin Aviation Light. We use high grade raw materials and components during the manufacturing of these lights that are in the compliance with the international quality standards. It is generally preferred for many industrial purposes. These equipments are easy to operate and handle. The equipment which comes under this category are Twin Low Intensity Aviation Light and Twin Aviation Light. Offering you a complete choice of products which include aviation light for high rising buildings. 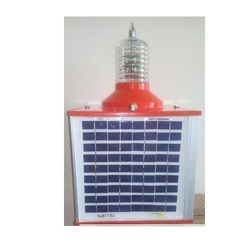 Providing you the best range of solar medium intensity aviation light with effective & timely delivery. Under able guidance of our skilled professionals, we offer the efficient Solar Aviation Light. We monitor the quality control process with utmost care to deliver reliable products to our clients. It is precision-designed lights used widely for many industrial purposes. These lights are available with us at lesser price. The product under this category is Solar Aviation Light and Solar Obstruction Light. Offering you a complete choice of products which include solar aircraft warning light. 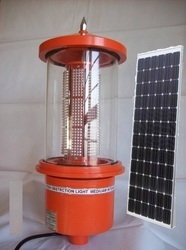 Pioneers in the industry, we offer solar navigation lights for small boats from India. We are engaged in manufacturing and supplying an ample range of Battery Load Testers. We use modern technology and technically developed machinery to manage the timely production and authenticate the quality of the products in various industrial specified parameters. These products are good resistant to corrosion and rusting. The product under this category is Battery Load Tester. 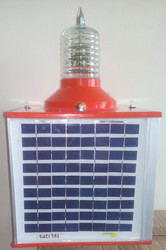 Geltronix is one of the leading names in the field of manufacturing and exporting the matchless Solar Navigation Light. These products are made of excellent reliable components and materials with improved corrosion resistance property. Each product under this category is manufactured for an industrial use. 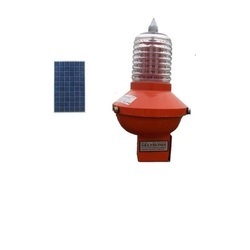 The products under this category are Solar Navigation Light and Navigation Light. WE HAVE MULTIPLE DISCHARGE BATTERY AT A SAME TIME. FOR MOBILE BATTERY BANKS. 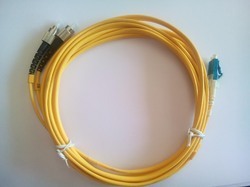 We are the most reliable manufacturers engaged in manufacturing and designing a superior quality of Optical Fiber Patch Cord. We use sophisticated technology and machinery to manage the timely production of the products. The products we manufacture are in compliance with international quality standards. Our ranges are competitively advantageous due to its durability, reliability and user-friendliness. The product listed under this category is as follows Optical Fiber Patch Cord. 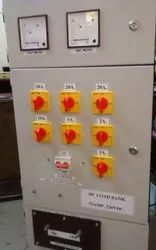 Providing you the best range of resistive load bank with effective & timely delivery.